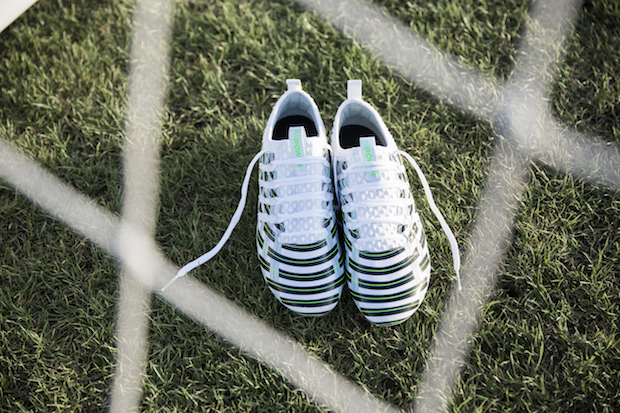 As long soccer is a sport that necessitates gear on your feet, there will always be a hunt for more power. Stronger shots, faster passes, deeper crosses, longer clearances, much as the world around the sport, power is a commodity that many will always look to obtain. However, within the last several years, “power,” isn’t exactly a tagline that we have seen brands push to the forefront. Adidas famously only lets the Predator out to play in rare occurrences; Nike traded power for Venom while others have also distanced themselves from something that the world once demanded of any and all releases. One brand still counts themselves as a purveyor of power. 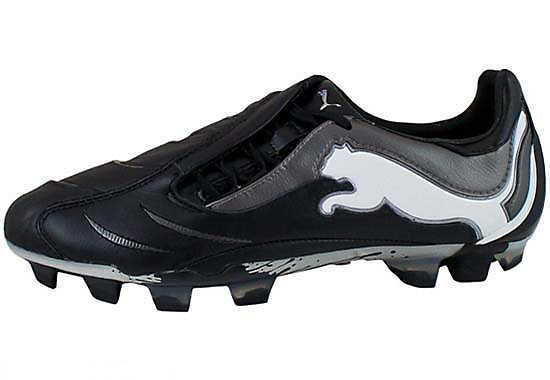 Puma certainly isn’t the originator of “power boot.” While they might have an argument as the original surveyor of speed, Puma long toiled with the Puma King as their main (and, sometimes, sole) entry into the world of boots. While the addition of the V1 series would allow Puma to begin stretching their creative legs, it wasn’t until adidas and Nike had firm grips on the “power” market that the big cat decided to wade in and we’re all quite thankful that they did. With boots like the adidas Predator owning the scene, and Nike making strides with their T90 Laser I and II, it made sense that Puma would finally craft their own power boot and they did just that in 2010 with the Puma PWR-Cat 1.10. Launched at the very beginning of 2010 in a black/lime colorway, the boot hoped to utilize kangaroo leather and a shooting element that was truly unique. While looking like steps walking up from the toe of the boot to the tip of the tongue, the 3D PST (Power Shooting Technology) offered a more powerful rebound (“rebound” was a massive buzz word with power boots during their hey-day) than the standard boot option. Puma made sure that their unique upper colorways that they had used for their V series carried over the PWR-Cat, and some truly intriguing looks hit the market especially as Puma tried to use the stage of the 2010 World Cup to help their newest toy get a major push. The PWR-Cat 1.12. A significantly remodeled shooting element made the boot look much sleeker, but “rebound” was still the word of the day with the new and improved 3D PST. Dropped in a dazzling white/blue/gold number that quickly won fans over, we counted ourselves as big fans after giving them a try. The upper was incredibly supple, and our only issue was that the boot (in a world that had started quickly shaving every possible ounce) was a bit too bulky. Yet almost as if to respond to our issues, Puma gave us the 1.12 SL halfway through 2012 (In time for the Euros) and that was a lighter version of the 1.12 that provided all the same elements, but with a closer touch on the ball and more lightweight package. The 1.12 SL is still a boot that I hold dear to heart. They gave us 2014’s boot of the year. Despite our affinity for the 1.12 SL, Puma’s next power boot is one of the best releases of all-time: the amazing evoPower. A stretchable upper that was ready to go out of the box, accufoam pods that made every strike feel like a rocket, and a soleplate that could flex at an amazing level. 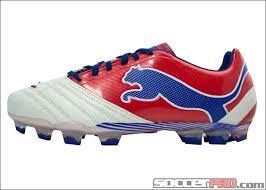 Puma had redefined power, and we were big fans. Such was our excitement, that the evoPower 1.2 (a good boot in its own right) was actually a bit disappointing, merely because it didn’t offer the same thin feel and enjoyment of the original. Not much had changed but a shift in the position and amount of accufoam padding, but, somehow, it didn’t offer the spark of the original. Sadly, this meant that the next update, the evoPower 1.3, another impressive entry into the silo, wasn’t given the recognition and focus that the boot deserved. For Puma, it was definitely a question of whether to channel focus towards a newly released evoTouch and uber-lightweight evoSpeed SL II or try something new with the evoPower line. 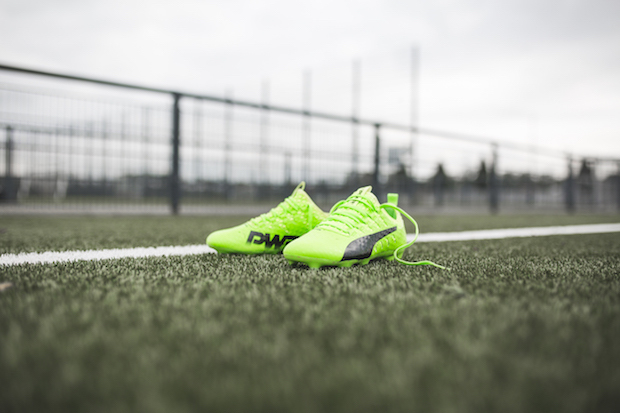 Luckily, there’s a reason that we’re still talking about Puma’s power boot.
. Time with the evoTouch had allowed them time to see how their evoKnit technology functioned with a boot and how Puma could craft a sleeve within a boot out of the knitted material. 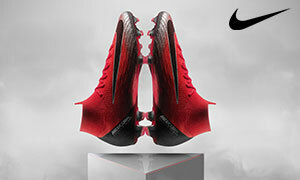 Puma took the collar craze and gave the Vigor a low cut collar (the type of collar that most boot fanatics desire most), let the evoKnit provide the comfort within the midfoot, and utilized an incredibly thin and supply upper to create a boot that will definitely be in the Boot of the Year mix when December rolls around. By adding small AccuFoam pods to the upper, the evoPower was able to still feel like a boot that was primed and ready to blast through a ball. The success of the Vigor has been evident from the launch, and The Instep’s glowing review seemed to echo sentiments across the boot world. With how well received the boot has been, Puma has offered an elite iteration of the Vigor in the form of the Vigor 3D Dot. After testing the Vigor and 3D Dot, it truly seems like Puma is flexing their muscle and testing out different variations of their evoKnit to see what works best with the boot. The Vigor offers the softer upper, but less of a collared boot feel. The 3D Dot is ever so slightly stiffer, but has the squeeze that collared boots offer (despite being fairly low-cut). They’re both big winners, and should be factoring heavily into our end of year awards. It would have been easy to think that the King and V series would sit atop Puma’s charts with the PWR-Cat left to pick up the big cat’s scraps and find T90/Predator outcasts. However, with consistent showings and the current set-up being so impressive, the evoPower could easily be seen as the height of Puma’s success. We can’t wait to see how much power Puma packs in future iterations and you can always pencil us in for pair every time we get an update. Puma might have started this quest as a third option but the death of the Predator and T90 now has the Vigor owning the stage. A quest well and truly accomplished, and yet everlasting, we have to say that we like it like that.